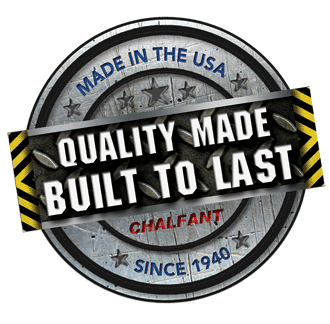 Chalfant is the nations original dock seal manufacture and with vast experience at the loading dock has found that there are 5 (five) basic loading dock types; Cantilever Loading Dock Design, Enclosed Loading Dock Design, Flush Loading Dock Design, Open Loading Dock Design and Saw Tooth Loading Dock Design. 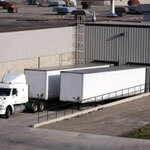 Dock Bumpers - Stop the backing truck at the loading dock and protecting the building from damage. Several types of dock bumpers are available; molded, laminated & steel face. 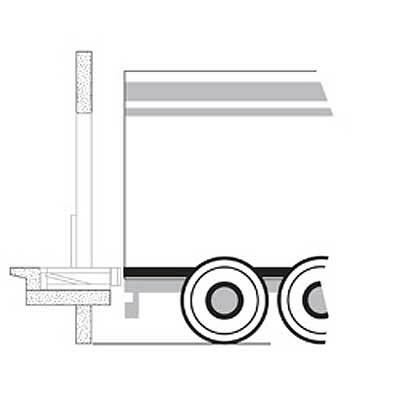 Dock Levelers - Dock levelers bridge the gap between the building and truck/trailer. 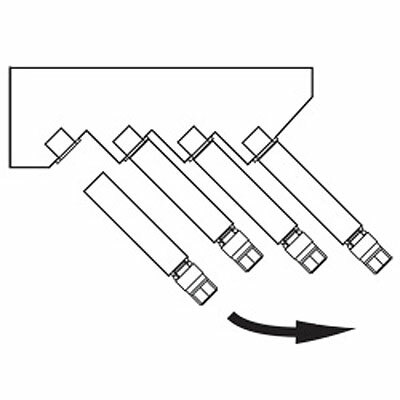 Height adjustment service range varies typically on length of the dock leveler. Several types of dock levelers are available; hydraulic, air powered, mechanical, as well as, edge-of-dock variety. Truck Restraints - Truck restraints assist in preventing premature truck departure and trailer creep, thus reducing possible costly dock accidents. The two major types are truck impact and non-impact styles and are available in power activated or manual activation. Wheel chocks are the minimum requirement, but require dock attendant to put in place and remove when not in service, recommend to use in conjunction with dock communication system. 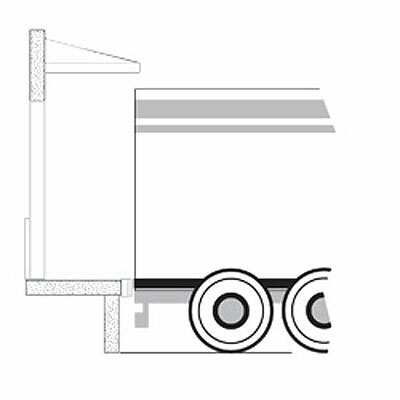 Dock Seal / Dock Shelters - Seals the truck to the building minimizing energy loss, fumes, dust, pilferage and product damage due to outdoor weather conditions. Dock Seals/Shelters typical pay for themselves in a short period of time. Dock Light / Dock Fan - Dock lights illuminate the back of the truck/trailer during loading/unloading operation to increase safety. 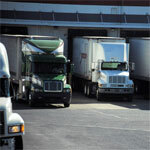 Dock fans allow air to flow to the trailer to cool and keep good air quality. 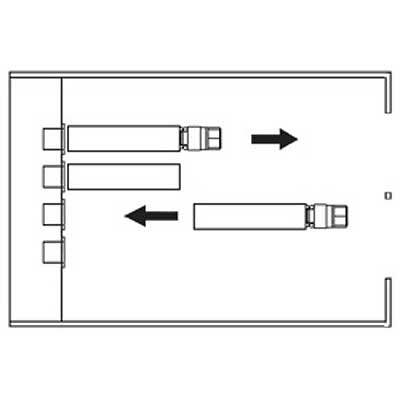 in a cantilever loading dock design, the foundation wall (dock face) projects past outside building wall. This design reduces the cost of dock bumper replacement in the future when it is time to replace the dock bumpers and also if properly design, it can prevent damage to the building wall, should a dock bumper fail. 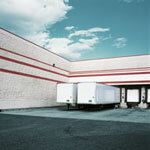 United Parcel Service (UPS) uses the enclosed loading dock design for its delivery trucks. This design allows for, control against pilferage, efficacy and comfort, product and package protection and provides great traffic control. Also it allows easy use of overhead cranes for loading/unloading flatbed trucks. 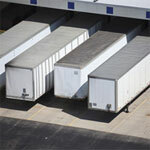 It is the most expensive loading dock design requiring greater initial investment and maintenance, as well as greater ventilation for adequate air-exchange, due to engine fumes. 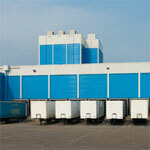 A majority of loading docks today are flush loading docks. The construction of the outside building wall is flush with the concrete face of the loading dock; they both share the same foundation wall. When the building wall projects past the dock face, i.e. metal siding or other material, the dock bumper projection needs to extend that distance, plus the appropriate bumper projection, please refer to our dock bumper section for more information.